It is apparent from the wide range of religions and their varied gods that it is not clear what god(s) are actually like, nor even is it clear how many of them there are (if any). The search for god is a rather insubstantial affair. The arguments are indirect. The lack of evidence has resulted in the concept known as the God of the Gaps, where some particular lack of knowledge (such as how the Earth formed, or how life started) has led people to believe that a conscious agent, a designer, is responsible. But as our scientific knowledge has increased no evidence for god(s) has been found and the old and indirect evidences for god(s) have been demolished. The gods no longer flick the switches to create lightening, nor stomp on the ground to make earthquakes. God shrinks as science grows. Some theists will claim that because science cannot explain everything that God must exist. Many point out that explaining the unknown in simple terms is one of the great appeals of religion and one of the causes of its success1. Adherents plead that new facts may come to light that suggest gods exist and which will in the future bring god into the light of science. However historically the opposite has occurred. As Human understanding has increased, the role of god(s) in the world has drastically reduced. It seems that the more we understand about reality, the less there is need to talk of gods, spirits and other supernatural elements. God is that gap between imagination and knowledge, wherein we falsely detect signs of agency because we don't understand what's really going on. They used to say that the gods wrought thunder upon the Earth; and that the winds and waves were the domains of specific deities. Heaven and hell were guarded by more gods; satan caused psychological ills, demons caused physical ills and animists found animating spirits everywhere. But Humanity got wise, and the rise of science over the last few centuries allowed us to realized that most of the activities of these gods were actually explainable as natural phenomenon. Many of those gods disappeared, never to return. As knowledge advanced, the domains of the gods shrunk. How far can this retreat go? Quite far! The god of the Deists, for example, was responsible for creating the universe and its rules. It pressed the "go" button and since then has not had a single thing to do. The God envisioned by most theists tethers its infinite power and only occasionally interferes with the world when specific miracles are called for. Theists no longer think of Gods as being particularly active in the physical world. They might comfort, reveal truths, talk to people in prayer and judge people once they die but, it can be noted, none of these things have effects that are measurable beyond human psychology. The retreat of gods in the face of naturalist sciences from the 18th century gave rise to the term the God of the gaps. God presides over gaps in knowledge. We don't understand how the Universe came to exist so voila, it was God! We don't understand how the emergent property of life arises from biology, so voila, another thing that God can do! The god of the gaps is invoked in particular where science finds it hard to tread. It is strange indeed that the almighty creator of the universe seems to limit itself to exactly those areas of activity that can't be measured with instruments. Why would it obscure itself in such a way? Some conclude that the reason is that there is no god, and the word 'god' is actually synonymous with the things we do not understand about the world. The god of the gaps. Sociologist Roderick Main argues that as science improved god shrank radically from the 18th century onwards. If all the planets and moons ran mechanically and without God, then, why not everything else too? He notes that the resultant concept of God "was a God very different from the one worshipped in medieval times. [...] God was increasingly conceived as a being who had created the world in the beginning but did not afterwards intervene in the course of natural and human affairs" and mentions deism; the areligious belief that there is a god, but, that all other aspects of religions are wrong: god simply doesn't do stuff or get involved personally with our lives3. In the face of growing Human knowledge, appealing to the unknown as evidence for God appears to merely set a time-bomb on religious belief: At such a time when the unknown becomes explained their belief is no longer defensible. Those who believed in God because of a specific gap in our knowledge should, when that bit of knowledge is acquired by humanity, shrink away from god-belief. Clearly, this would not be the case and few would expect theists to so retreat. They are likely to continue believing in their respective gods no matter what the evidence. This is because belief is psychological, and the "God" conclusion is not the result of logical analysis, but the result of Human psychology. Some theists are quite intentional: their declarations that shortcomings in human knowledge are evidence for God are genuine. But there is danger in their tactic. The unknown, and new facts and new arguments, are just as likely to disprove any given theory as to prove them. Appeals to the unknown are unusable in argument because of this. In addition to this, it is certainly a historical trend that scientific truth and evidence has always encroached upon the beliefs of the godly and the religious, and the exploration of the unknown is largely bad news for religion, not good! 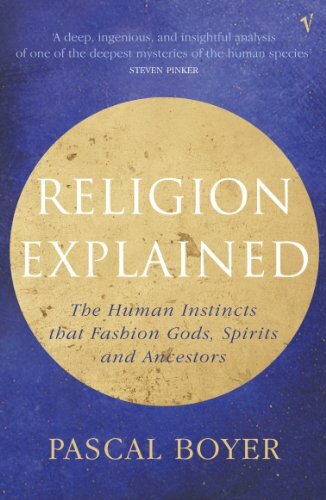 The science of religion - psychology - has almost fully explored what it is in mankind that causes religion and superstition - I try to summarize the volumes of material on this subject in "What Causes Religion and Superstitions?" by Vexen Crabtree (2013). Where once God, souls and spirits were the only possible source of thought and consciousness, neurology won a dramatic victory. We have extensive details not only on the causes of emotions and personality, but we know that they are purely physical in nature. It was said that science could never investigate such things, therefore, god exists. Now we can alter emotions with drugs, and radically alter personality via accurate brain surgery; the result is a solid kernel of evidence that if nature can produce such wonders as consciousness, the chances are God isn't needed for anything at all! The tables turned - it would have been best if the theists didn't place God within the realm of the unknown in the first place. Theologians in history foresaw this and berated those who pronounced that God exists due to Humanity's lack of knowledge. 1. The creation of the universe can't be explained by science. The creation of God can't be explained by theology. 2. Life cannot be reduced to purely material processes. We know many emergent properties arise from complex structures and patterns, life could be one of them. 3. Supernatural and parapsychological events. Every case that can be investigated has turned out to be non-supernatural, and, supernatural phenomenon are not evidence for God. God(s) were once said to rule over many other areas where Humanity happened to be ignorant. Meteorology and thermodynamic repelled the gods of the weather - even lightning turned out not to be related to divine justice. Nor were Earthquakes and volcanoes godly interventions. The creation of species, despite the stories told in cherished holy books, turned out to be a long, slow, accidental process and not 'by design'. There are very few communities left who, when suffering from an epidemic, turn to their priests for a cure rather than to the medical world. Demon possession has been replaced with psychology, the effectiveness of prayer with psychosomosis and the placebo effect. The ways the stars and planets move was once said to require constant divine attention; now, they are Godless, as Laplace first realized, resulting purely from the gravity of Newton. As the physical sciences closed gaps in knowledge, God has become an increasingly abstract concept, responsible only for technical, background, invisible activities. So much has been explained that was once proclaimed beyond science, that I suspect somewhat that even the formidable 'gaps' listed above will one day be explained in perfectly natural terms. See "Prayer is Magic, and Prayers are Spells" by Vexen Crabtree (2016) for full text. Also see "Prayer to God in Christianity and Islam: It is Useless and Satanic!" by Vexen Crabtree (2005). People don't really believe that God can, or will, do anything as the result of prayer. It seems odd, given that many people think they believe in prayer, to announce that many of them don't! A series of studies by Justin Barrett focused on asking people which of three things they might pray for as a result of an imminent disaster8. For example, if a ship in the middle of an Ocean was struck and was sinking, would they pray for (a) God to enable the ship to float for longer with a broken hull, (b) for God to let the people survive for longer in the deadly icy cold waters, or (c) for a nearby ship captain to have a sudden idea to change course and therefore rescue the people. Most people pick the third type of prayer: this is a prayer in which human action saves the day - God doesn't interfere with the physics of the ship nor with the biology of the victims of the accident8. A change in human action saves the day. This is because those who pray subconsciously think that it is their own magical words that are enacting the change, and not the creator of the universe. Religionists are apt to describe confusing unknowns as the work of God. 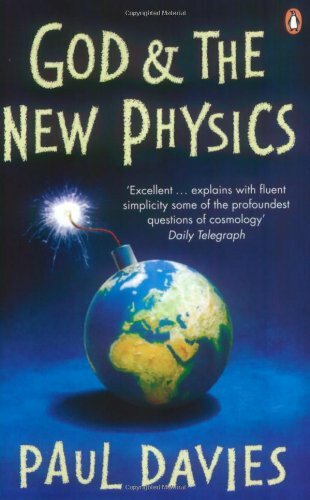 Physics and biology have long since been thoroughly understood by science9 and have lost any mystical or spiritual appeal. No longer do gods push the sun and moon around the sky, nor cause thunder. 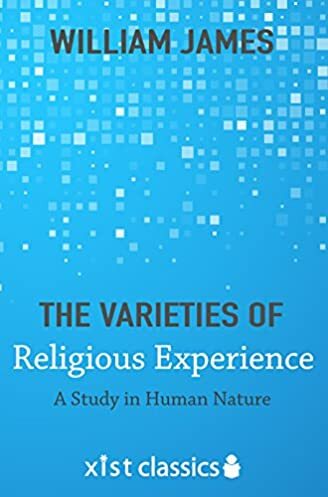 The human decision-making process though, because neurological studies in cognitive psychology are not well known (or understood) by the populace, means that our culture still retains the idea that God can play a part in this process. This is the "god of the gaps" phenomenon. Deep down, many theists understand that God's power is not real; but they still retain the secret, subconscious and superstitious belief that the magical words and the well-wishing of a prayer might still be powerful enough to change a human's actions, even though they don't think prayer could change purely physical processes. When it comes to complicated biological factors where there are statistics involved (i.e., cancer and disease), many theists again think that prayer might work. This is especially true for minor, non-biological ailments, where psychological effects play a big role (i.e. psychosomatic effects), meaning that human agency is still felt to be important (and manipulatable). All theories in science start with evidence, and on that evidence theories are built which match reality better than previous theories and, importantly, make predictions about future discoveries. Theories get stronger over time as evidence accumulates, or they are abandoned on the basis of a failure of evidence, or fail because of contradictions with newly discovered facts. The God of the Gaps is not like that at all. It exists in particular where there is no evidence. The theory that there is a God seems to retreat in the face of evidence and discovery; not get confirmed by them. This is the hallmark of the type of theory that should be abandoned. 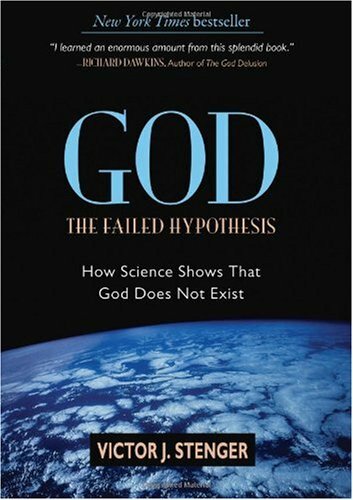 The god-of-the-gaps principle can be expressed in another way: the unprobability of God, stemming from the lack of evidence. Probably, if God were to exist, then there would be good objective evidence for his existence. But there is no good objective evidence for his existence. Therefore, probably God does not exist. (2008) 50 Reasons People Give for Believing in a God. E-book. Amazon Kindle digital edition. Published by Prometheus Books, New York, USA. (2002) Religion, Science and the New Age. This essay is chapter 5 of "Belief Beyond Boundaries: Wicca, Celtic Spirituality and the New Age" by Joanne Pearson (2002) (pages p173-224).